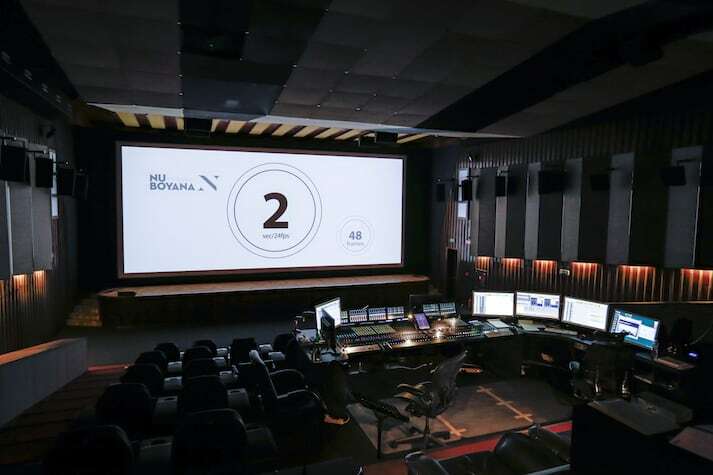 Nu Boyana Film Studios provides cutting edge technical sound equipment as well as up-to-date facilities for audio post production like spacious sound editing suites and ADR/Foley recording studios. A mid and a large size Dolby Atmos certifed Mixing stages are available to finish and preview the final sound mixes there. They are both equipped with the latest Avid S6 M-40 mixing consoles, ProTools HD and Media Composer systems; full JBL monitoring and Crown amplification; 4K video playback and projection. The qualified sound personnel consists of professionals from all over the world – as a successful team they have done the sound work on big projects like the Mechanic: Resurrection, Criminal, Leatherface, Boyka: Undisputed and many more.